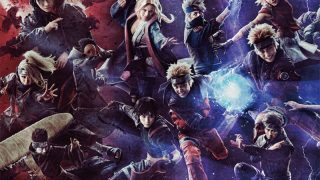 Otaku House is giving away in-season movie tickets to the highly anticipated Kuroshitsuji live-action film which is opening in town on 17 April 2014! I don’t know about you but I’m catching this movie even if Sebastian hasn’t had a haircut since the 19th century. *Applicable for Singapore cinemas only. Winners need to be physically in Singapore to watch the movie! Mummified dead bodies of various dignitaries from around the world are being discovered and a mysterious tarot card left beside them at every crime scene. The world is headed towards chaos… Kiyoharu is the young head of the Genpo noble family, owners of a massive toy manufacturing enterprise. He also functions as a secret watchdog for the Queen, a service that his family has provided for generations. The Queen orders Kiyoharu to solve the mummification incidents, and he begins investigation. He is supported by his perfect butler, Sebastian, who is actually a demon. The original comic “Black Butler” is written and illustrated by Yana Toboso, being serialized in the monthly G-Fantasy, published by Square Enix. 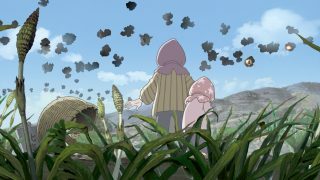 Since the start of the comic in 2006, the series has been very popular and has sold 18 million copies worldwide. It has been translated into over 20 languages, and sold in 42 countries and territories. The Black Butler, who is highly skilled and is the most evil: Sebastian is a demonic butler, perfect at the preparation and serving of exquisite meals, and in providing service and protection. He has an extensive knowledge of all fields. Sebastian is bound by a secret contract to serve his master, Kiyoharu, and in return for support of his master’s mission, Sebastian will receive Kiyoharu’s soul. 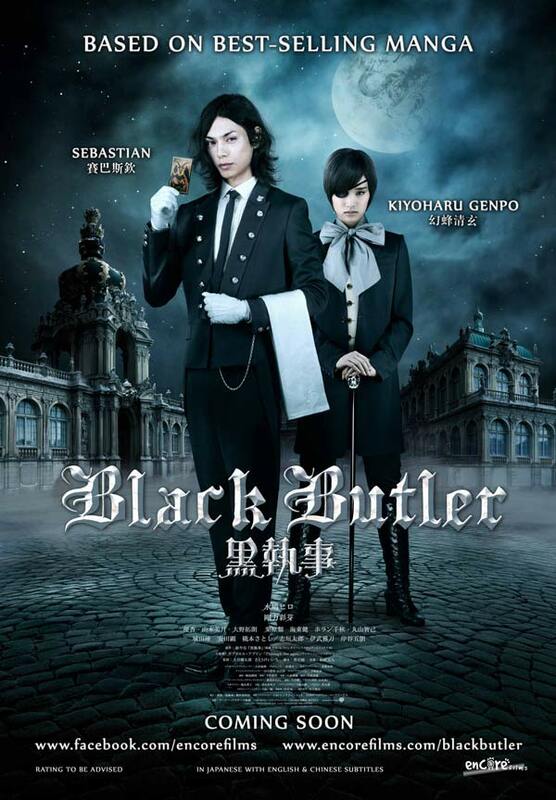 Based on the best-selling comic series written and illustrated by Yana Toboso, “Black Butler” has finally been made into a live-action film. 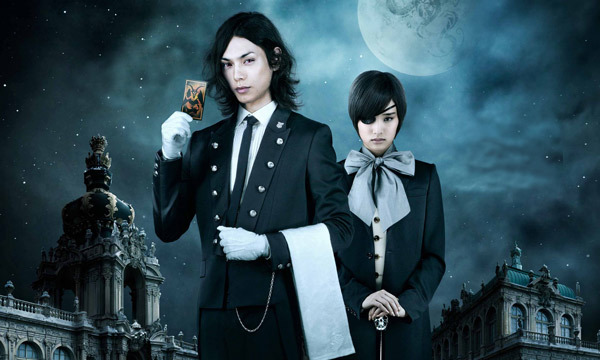 The demonic butler, Sebastian, is played by Hiro Mizushima of “BECK”, who portrays the perfect, but arrogant, butler with elegant movement and stylish action. 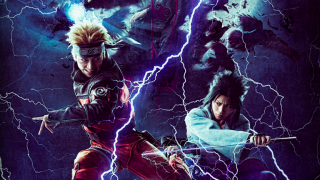 The film is directed by Kentaro Otani of the “NANA” series, and Keiichi Sato of “Asura”.